‘Just another form of spring fever’ is what one faculty member at Princeton University is said to have called the student pastime of throwing around a Frisbee in 1957. But disc sports had far more staying power than they had predicted. The quote seen in a ‘Sports Illustrated’ magazine article from May 13 makes the first known published reference to the sport of Frisbee. 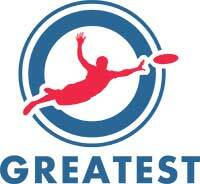 Disc sports can be traced back much further than that via many forms. The Ancient Greeks were competing in discus from the 8th century BC. People threw other disc-like objects throughout the centuries. But it wasn’t until the early 20th century, when the love of a food item in the United States combined with the love of throwing disc-like objects, helped make Frisbee more mainstream. At the end the 19th century the Frisbie family opened a bakery in Connecticut. The business became successful and the Frisbie Pie Company expanded into the U.S. states of New York and Rhode Island. Their best-selling items of pies and cookies really took off. At the peak in 1956 they baked 80,000 pies a day. Play Catch, Invent Games. What is at the core of our sports and games. Students from places like nearby Yale University bought Frisbie pies and cookies and reused the tins and lids as discs to throw. With the word ‘Frisbie’ stamped on each pie pan, early throwers often called out ‘frisbie’ to alert the catcher to the disc. This ‘frisbie’ term stuck as a name for the activity, and spread to various other universities including Amherst, Dartmouth, Princeton and Yale, who had also discovered the fun of flinging tin and cardboard disc shaped objects back and forth. This activity developed into what was for some a competitive sport, and regardless of whether they were using ‘Frisbie’ pie pans, or pie pans from other bakeries, or even other disc shaped type of lids or pans, the activity was being called ‘frisbie’. As this term spread to other colleges and universities, it was adopted as the name for their own particular versions of flying disc tossing. Meanwhile on the West Coast of the U.S., inventor Fred Morrison had been throwing cake tins, and developing them into discs to sell. He created a plastic disc inspired by flying saucers. Outer space gripped people’s imagination at the time and by 1951 he was selling a design called the ‘Pluto Platter’. A few years later, in 1955, the founders of toy company Wham-O saw Morrison selling his discs in downtown Los Angeles. They got him on board, and by 1957, flying discs were being made on their production line. It’s thought Wham-O founders heard the term ‘Frisbee’ on a tour of Ivy League schools and in June 1957 they officially renamed their products the Wham-O frisbee. The products went flying off the shelves - more than one hundred million have since been sold worldwide. Interest in Flying Disc Sports with Frisbees evolved and are now played by more than seven million people in at least 70 countries across the world. Frisbee had become more than a ‘spring fever’ but a sport for all seasons. 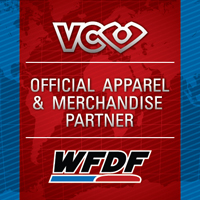 Find out more about the disc sports approved by WFDF: http://wfdf.org/sports/our-sports.